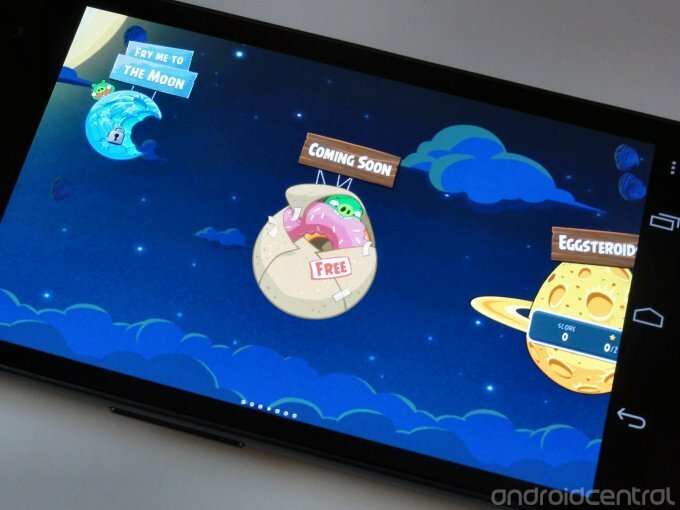 Angry Birds Space updated with 10 new levels, could Simpsons tie-in be next? Rovio's updated its interstellar swine-smashing simulator Angry Birds Space with 10 new levels. The new challenges can be found within the 'Fry Me To The Moon' chapter, which sees the classic pig-versus-bird battle re-enacted on a series of icy worlds. Fortunately the new levels are available in the free and ad-supported phone versions of the app, as well as the tablet-only HD version, so everyone gets to play. If you've already got Angry Birds Space installed, you can grab the latest version by hitting that update button in the Google Play Store. If not, we've got links after the break. In an interesting twist, this latest update also adds a teaser zone to the main menu -- an unmistakable pink Simpsons-style donut. Could a Springfieldian crossover be in the future for one of the leading mobile gaming franchises? We'll have to wait and see.